Earth's atmosphere hides most electromagnetic radiation from space except visible light, certain infrared frequencies and radio waves. For this reason, we can place radio telescopes on Earth's surface and radio astronomy was the first non-optical study of radiation from space. A number of the most massive galaxies were found to be extremely powerful sources of radio waves. Radio astronomy led to the discovery of pulsars which pulse regular radio emissions. Earth's atmosphere begins to shield radiation from us. The most important form of microwave radiation in astronomy is called the Cosmic Microwave Background (CMB). Discovered in 1965, CMB comes from all parts of the Universe with the same intensity. CMB became solid evidence for the 'Big Bang' theory, which predicted that the shockwave of the primeval explosion would be still detectable. ESA's Planck mission will study the CMB and thus will be seeing the Universe as it was almost at its beginning. The primary source of infrared radiation is heat. The higher the temperature, the faster the atoms and molecules in an object move and the more infrared radiation. The first infrared space mission was IRAS (Infrared Astronomical Satellite) which detected about 350 000 infrared sources. Later, ESA's Infrared Space Observatory (ISO) made important studies of the dusty regions of the Universe. ESA's Herschel mission will build on this work. Until 1945, most astronomy was optical. This meant studying a very small range of wavelengths. It is from these optical wavelengths that most people derive their picture of the Universe, dominated by bright stars and galaxies. Visible light is predominantly released by objects between 2000 and 10 000°C. The NASA/ESA Hubble Space Telescope has a powerful optical telescope on board which enables it to take stunning photographs in real colour. As soon as observations from above the atmosphere became possible, the classical techniques of optical astronomy were extended into the ultraviolet. The Sun and other hot objects are sources of ultraviolet radiation. In 1978, the International Ultraviolet Explorer (IUE) was launched. IUE dominated ultraviolet space astronomy for nearly two decades. It generated spectra showing intensities at different wavelengths from selected objects in the sky. Temperatures, motions, magnetism and chemical composition are all discernible in the ultraviolet spectra. 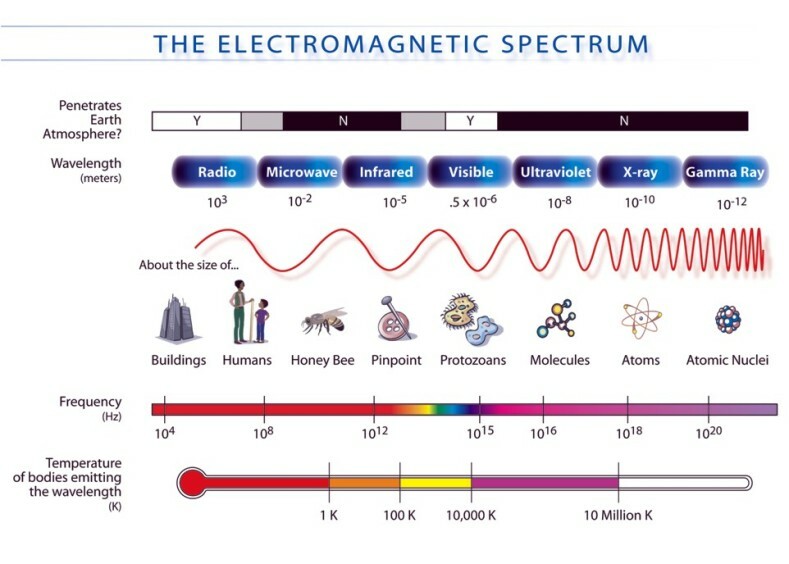 Most of the observable matter in the Universe today is in a hot state, radiating short-wavelength radiation and X-rays. Massive clouds of gas at a very high temperature fill the spaces between galaxies. Whenever a new star is formed, a collapsing cloud of gas reaches temperatures sufficient for nuclear reactions to start, powering the star. Conditions in the primeval Universe were very different - with only a few pre-existing molecules and no dust available for cooling, only the most massive clouds could collapse. They would make not stars, but black holes. Theorists suspect that giant black holes may have been among the earliest objects created in the Universe and would have produced X-rays. Two ESA missions, XMM-Newton and XEUS are designed to observe these X-rays. Gamma rays from space are blocked by the Earth’s atmosphere – fortunately for us, because this powerful radiation is lethal. Gamma-ray telescopes in space give evidence for the processes that made the Universe habitable. When a massive star has used up its hydrogen fuel, it ends in a supernova explosion, emitting gamma rays. During this explosion, radioactive elements are formed and ejected into space, decaying or combining to form the other elements. ESA's COS-B satellite (1975-1982) created a catalogue of gamma-ray sources. ESA's Integral spacecraft, launched in 2002, takes this work forward, studying the phenomenon known as 'gamma-ray bursts'.